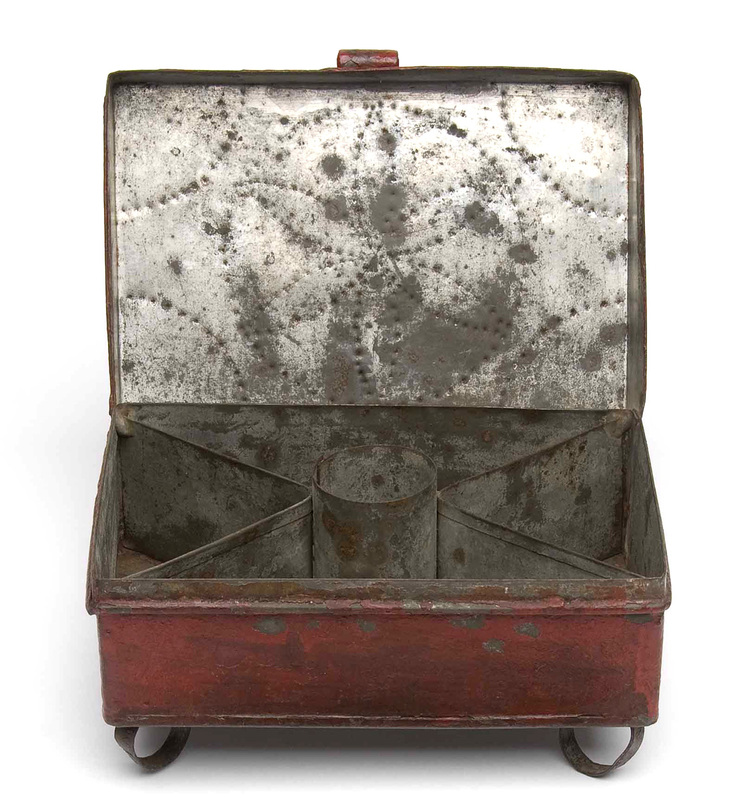 Decorated tinware was once ordinary and ubiquitous. 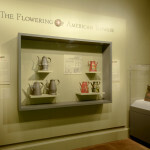 The material—sheet iron coated with tin—could be shiny white and serviceable, thus most early useful wares were undecorated. 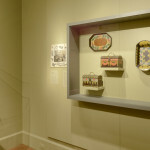 The outer surfaces of tinware, however, could have added appeal with painted flowers, birds, landscapes, or geometric designs brushed on by amateur or professional decorators. 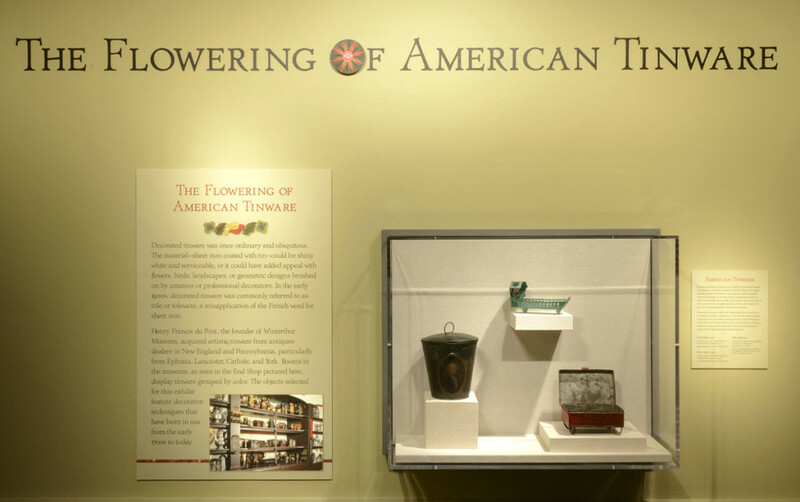 By the early 1900s, painted tinware was commonly referred to as tôle or toleware, a misapplication of the French word for sheet iron. 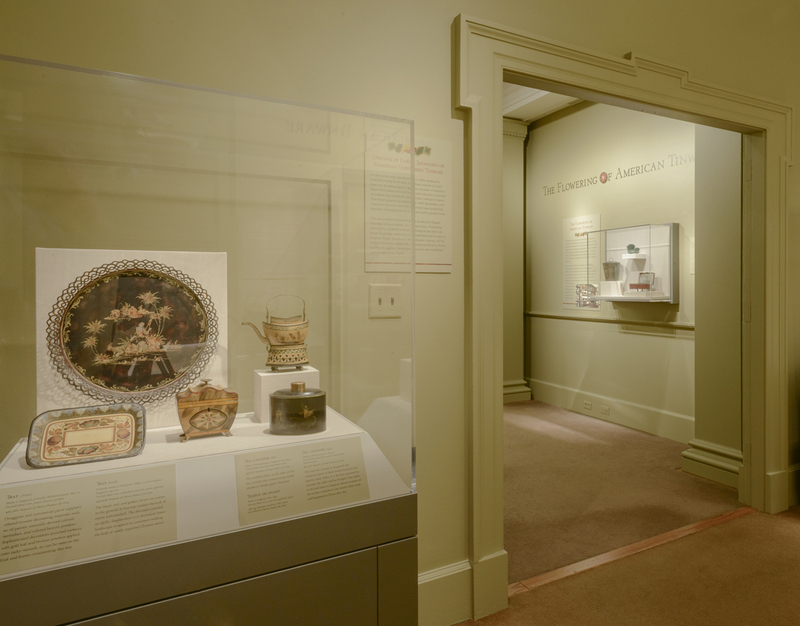 Henry Francis du Pont, the founder of Winterthur Museum, sought artistic tinware from antiques dealers in New England and Pennsylvania, particularly from Ephrata, Lancaster, Carlisle, and York. 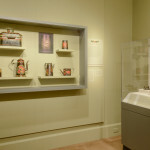 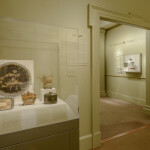 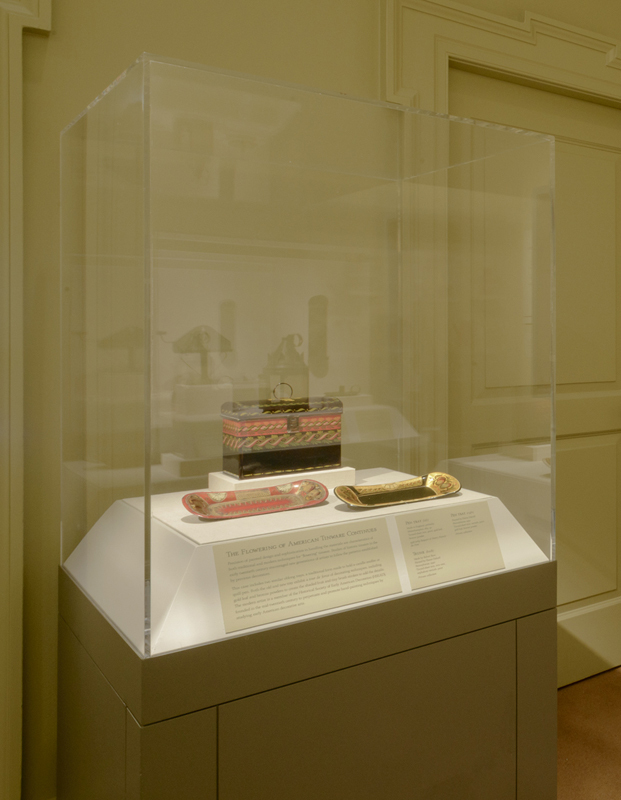 The objects selected for this exhibit by Ann Wagner, associate curator of decorative arts, are drawn from his collection to feature decorative techniques that have been in use from the early 1700s until to today. 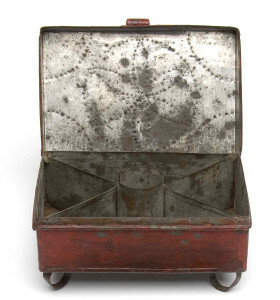 In addition to colorful painting, adding texture by punching and piercing were standard decorative techniques used in American tinsmiths’ workshop in the 1800s. 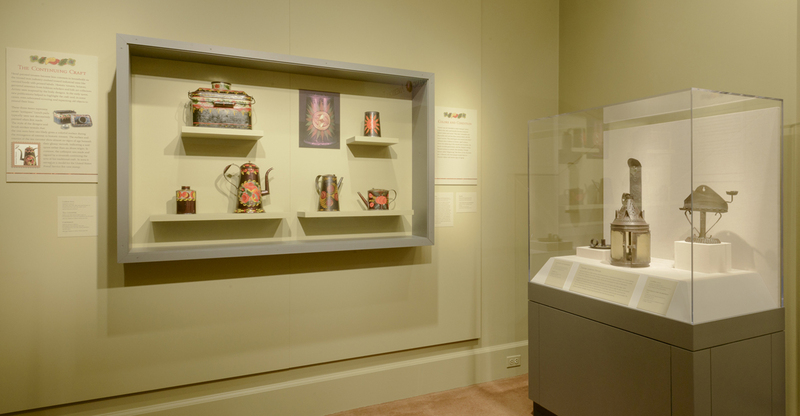 Three objects illustrate this variety of ornament, from a tinsmith’s punched compass-rose design on the spice box to professional decorators’ work on the canister and a toy cradle. 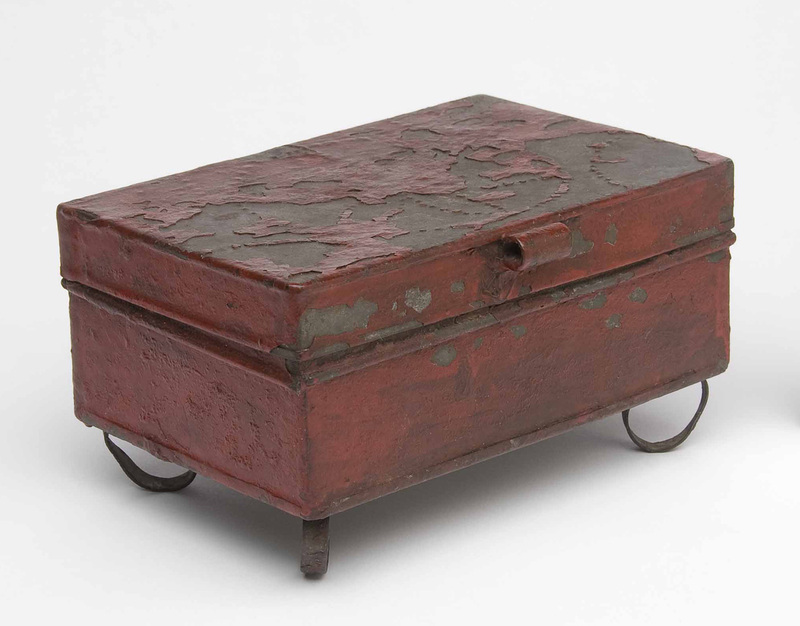 Coats of paint such as the solid red of the spice box not only added cheerful color but could lengthen the service of a utilitarian item by inhibiting rust and wear. 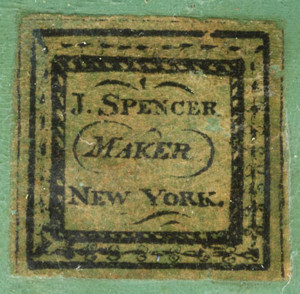 Spice box, probably made in Pennsylvania, 1800-75. 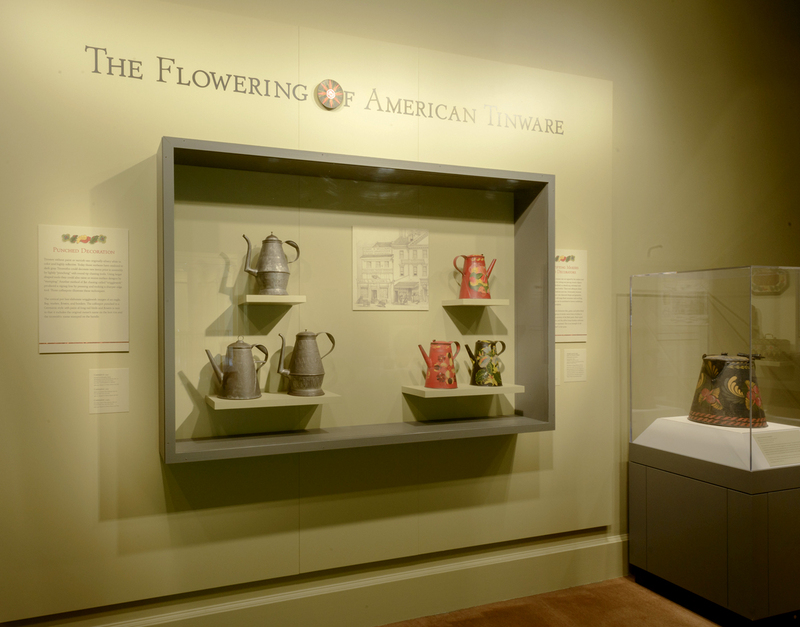 Professional decorators might work independently for tinware firms or as employees of larger manufacturers. 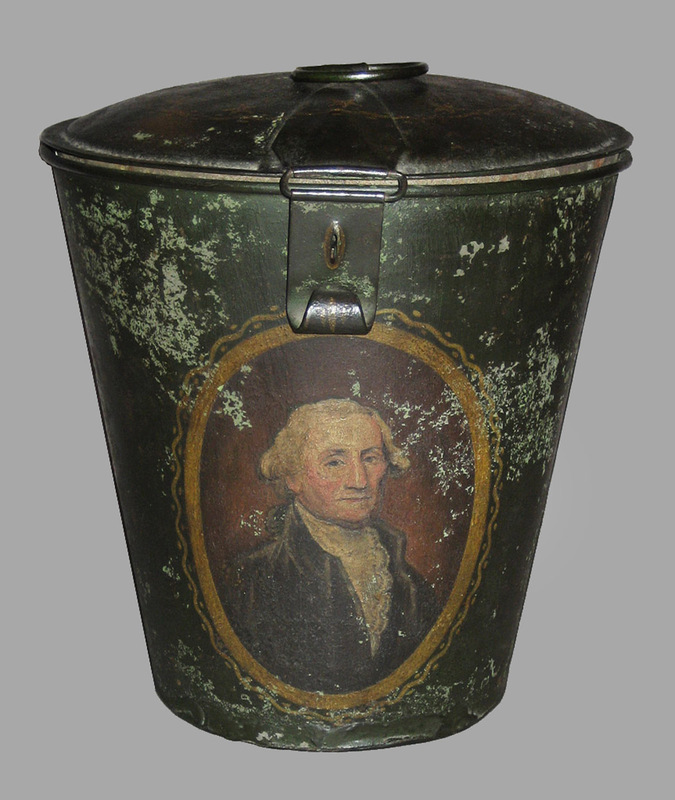 One unknown painter satisfied a taste for patriotic sentiment with this green food canister. 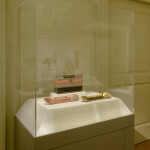 The portrait of George Washington appears to be modeled after a painting by Gilbert Stuart. 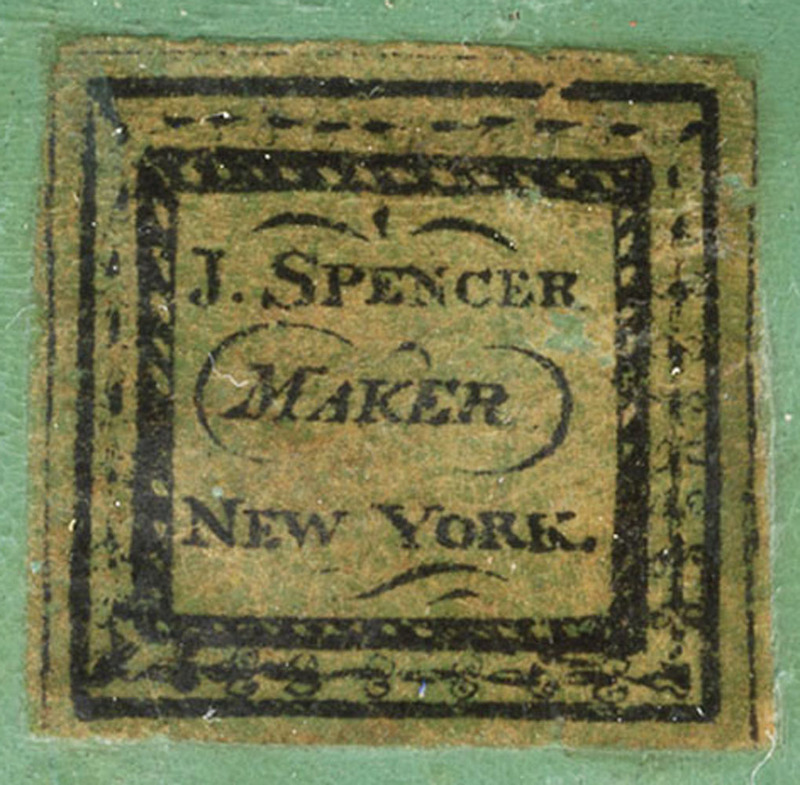 According to the label, craftspeople in James Spencer’s New York toy manufactory produced this charming cradle. 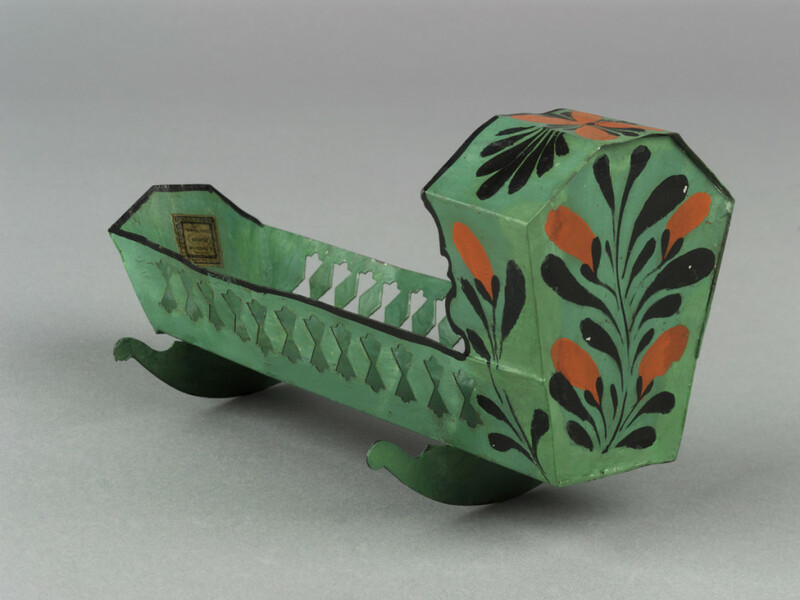 It is not only painted vivid blue-green with red and black flowered sprigs, but also has pierced sides that resemble balusters.